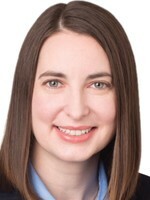 Alison M. Karp is a member of the Rains Lucia Stern St. Phalle & Silver personal injury group. She represents persons who have suffered serious injury as a result of automobile accidents, defective products, dangerous premises, negligence, and intentional torts. She can be reached at akarp@rlslawyers.com.